Out on the edges, Norfolk fades before it disappears completely; the marshes, the fens, the Breckland forests and the Waveney river plain are like a cordon sanitaire protecting the county from the rest of civilisation. 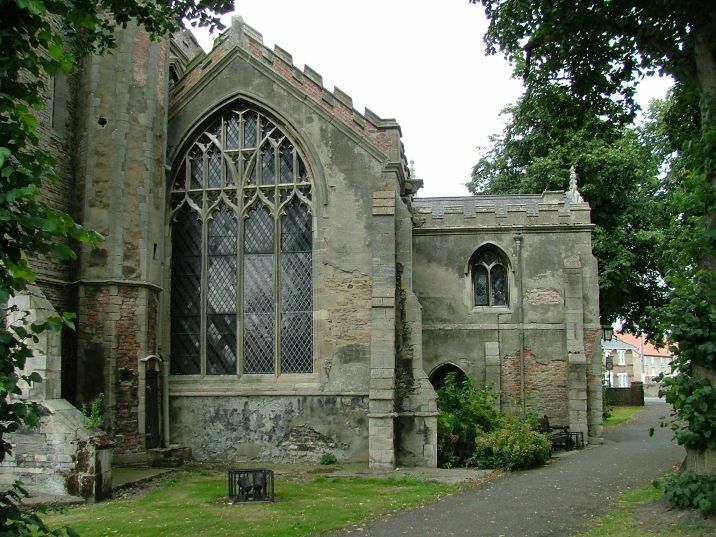 So it comes as a surprise, in the south-west of the county, to find three large settlements, Emneth, Outwell and Upwell, linked together and all but joined to the Cambridgeshire town of Wisbech. They line a stretch of the Nene cut. The road that links them runs for just a few miles across this corner of Norfolk, as it heads from Wisbech to another Cambridgeshire town, Ely. The fenland wastes cut them off from Norfolk proper, and it is as if they are hiding from the rest of the county. 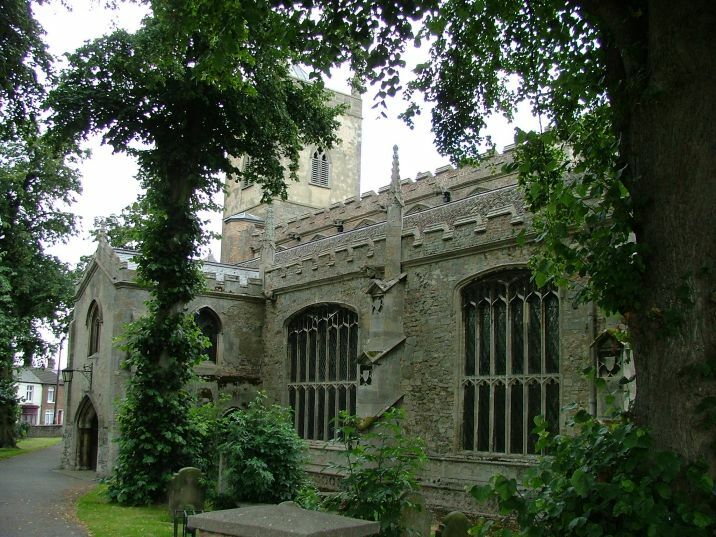 To visit Outwell and Upwell, in particular, you might think they belonged entirely to Cambridgeshire; the long straight road that lines the long straight river is their joint high street, and is so much like that of typical Cambridgeshire fenland towns. Until recently it formed the border between the two counties. 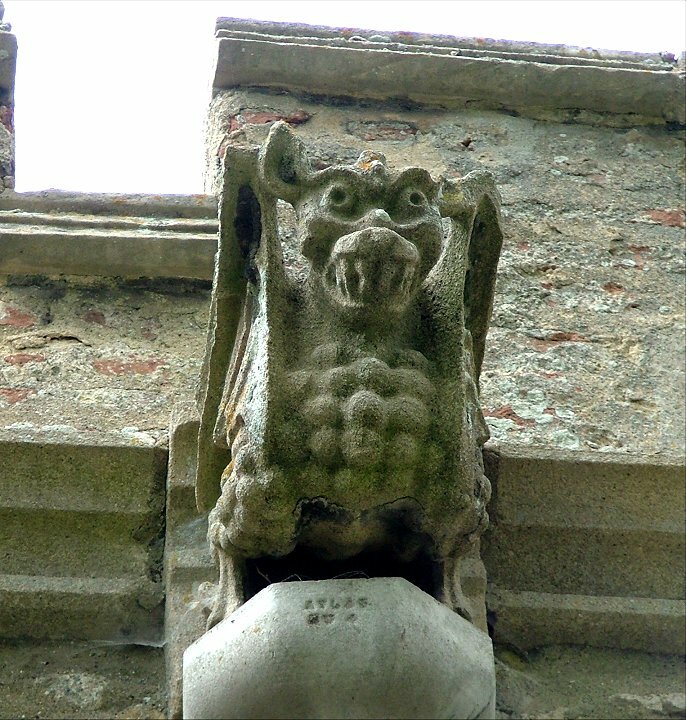 Some fellow church explorers that we met in Upwell church were sure that they were still in Cambridgeshire, and were not completely convinced by my Ordnance Survey map. And Outwell and Upwell are quite unlike other Norfolk villages. 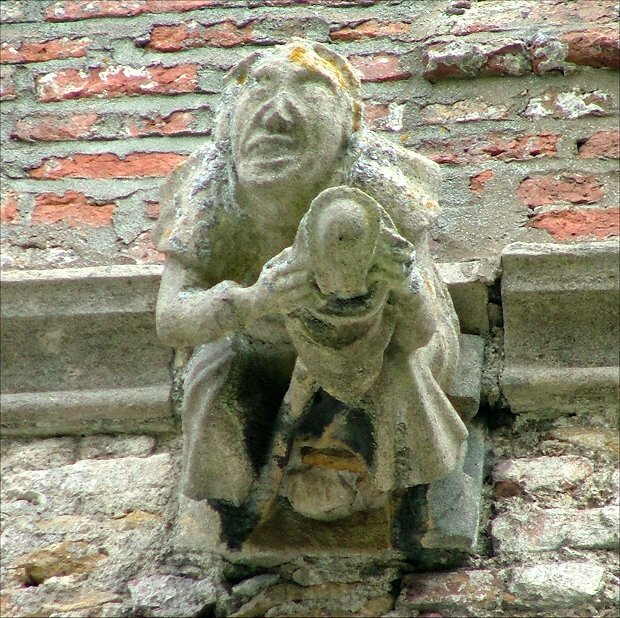 Their expansion dates from the time of the draining of the Fens by Dutch engineers, and they are wholly urban in character; but it is a Flemish urbanity rather than an English one. 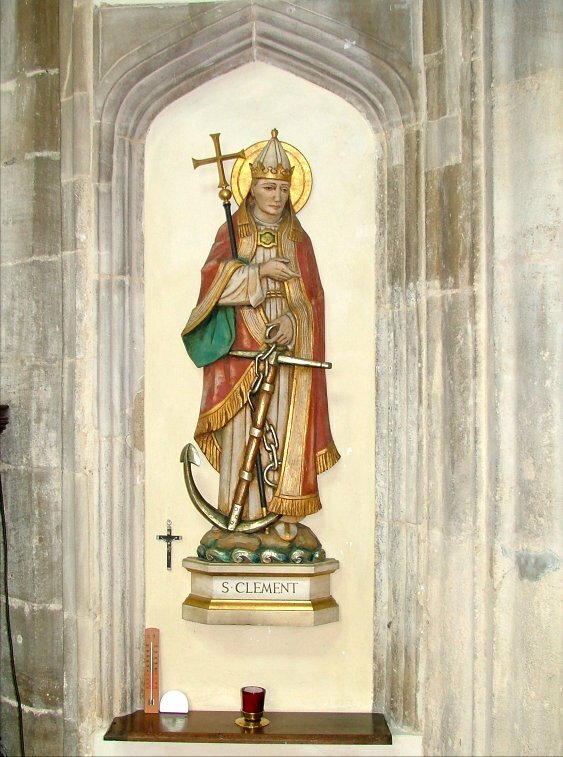 The low terraces lead to little bridges over the canals; St Clement sits where two rivers join, and you must cross them to reach it. The terraced houses, of Fletton brick, are also quite un-East Anglian - you really could think yourself in the backstreets of Bruges. 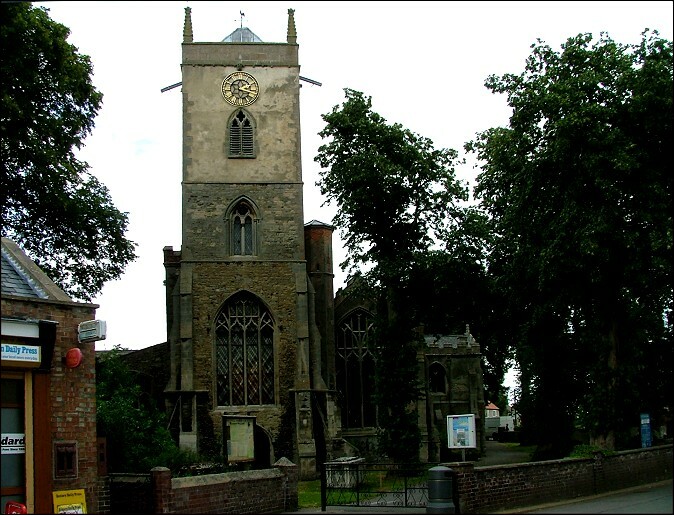 Until the late 1960s, the road-based line of the extraordinary Wisbech and Upwell Tramway ran a few yards to the west of this church - there's a photograph of a tram passing St Clement on this page about the Tramway. 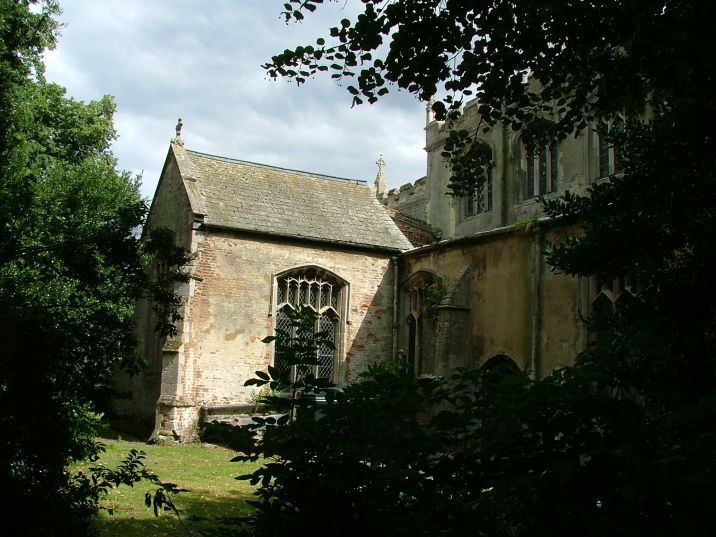 In the largely treeless surroundings of the Fens, St Clement's churchyard is an oasis. 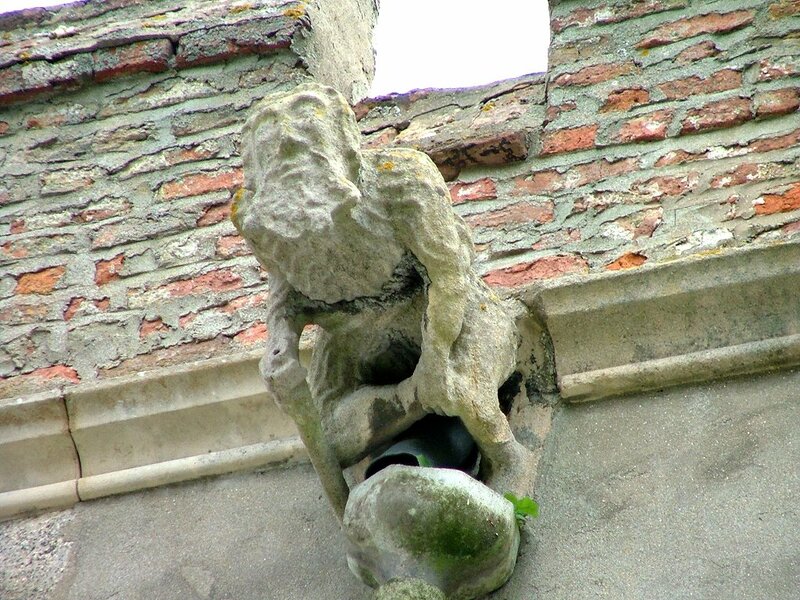 On a sunny summer day it was a lovely place; the idiosyncratic and slightly ramshackle building with its brick battlements and grinning gargoyles was shaded and dappled by green. 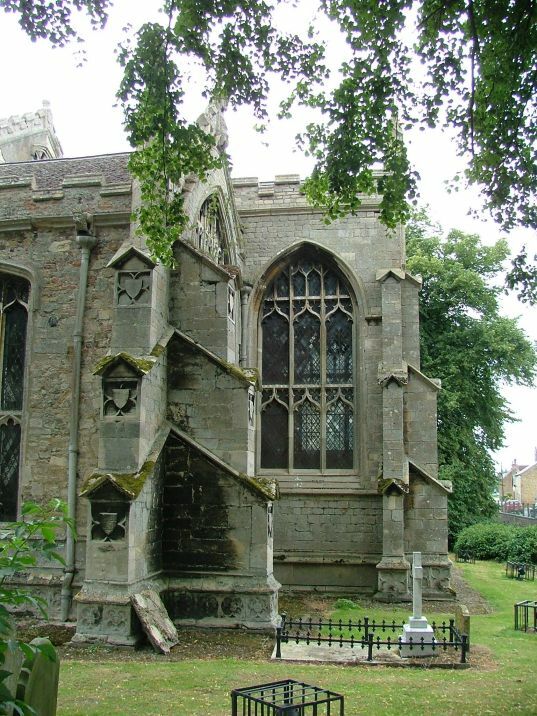 The tower looks like two different ones clumsily joined together, as if a confection; the lower part is thirteenth century, the former bell window now performing a pleasant if useless lighting duty half way up, the louvred 14th century replacement above. A hundred years later, the vast west window below was punched through on the eve of the Reformation, and there you have it, a tower quite unlike any other. The capped stair turret of the tower is also unlike any other I have seen; it must have originally reached to the top of the 13th century tower, and now falls just short of the top of that stage. 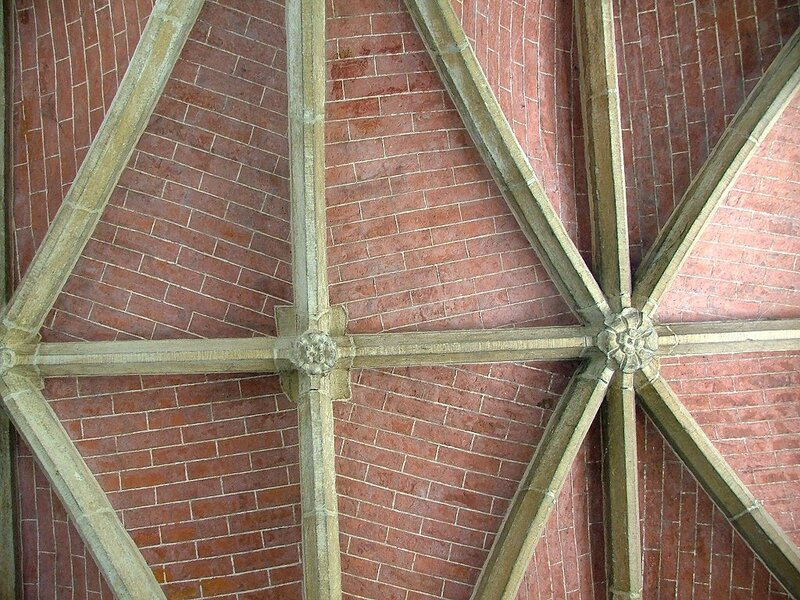 The ridged roof of the south aisle beside it creates an illusion that the tower is offset. All around the building, the windows are vast; you know before you enter that this church will be full of light, although things will not turn out exactly as you might imagine. The large two storey porch has a brick-and-moulded rib vaulted ceiling, shown in the photograph at the start, a pointer that you are about to enter a church that is a bit out of the ordinary. 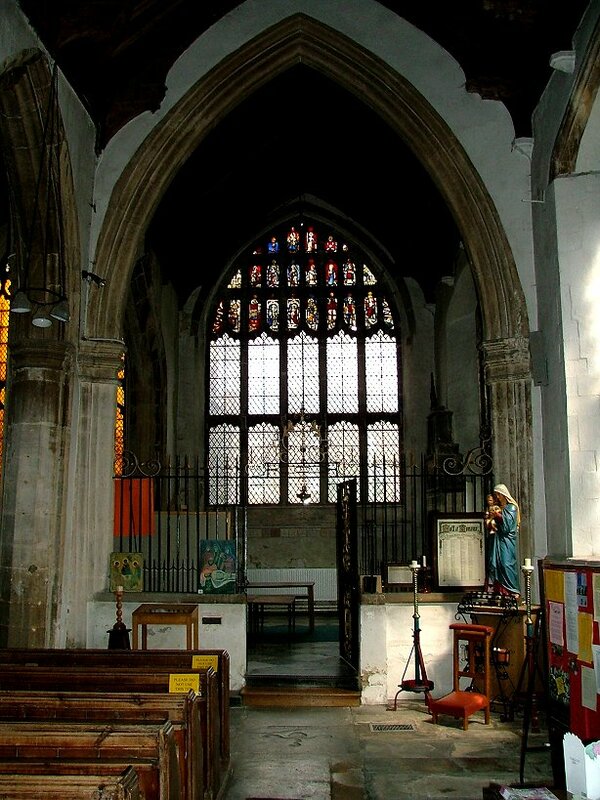 What you might not know before you enter is that this is one of Norfolk's highest Anglo-catholic churches, quite a surprise in the Diocese of Ely. 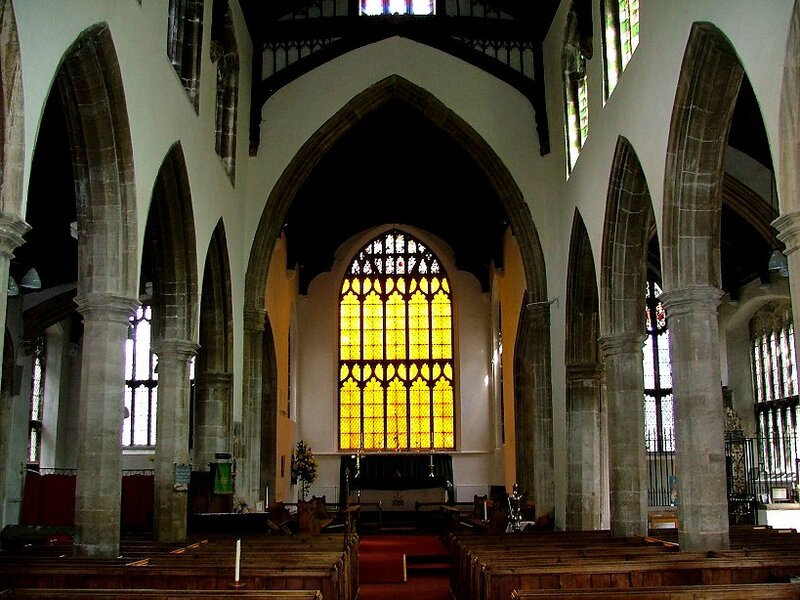 This is a big church, although not as big as its two neighbours, and the interior is full of age, the dust in the air falling slowly in the spilled light. 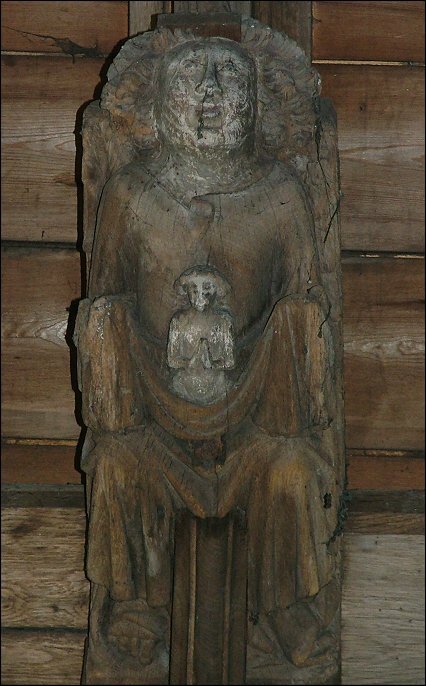 As you stand in the doorway devotional statues, icons and the odd burning candle catch the eye, scattered at corners and on walls. And the light? Well, the brightness from the nave windows and clerestory tries its best, but it cannot overcome the truly awful glass in the east window. 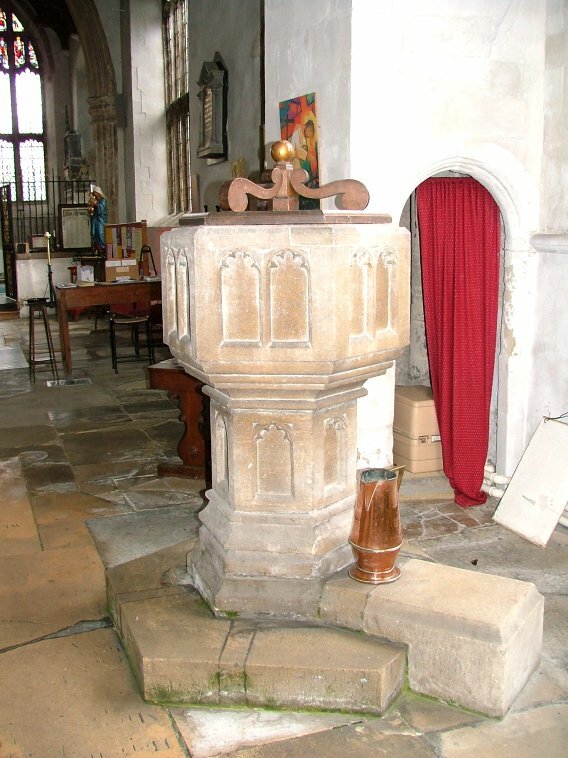 As at Wiggenhall St Mary, the use of coloured quarries in what is the main focus for the congregation is hard to fathom - what were they thinking of? These are a murky acid yellow, and if Wiggenhall makes you feel that you are underwater, here it seems as if you have entered a sulphurous fog. However, this does mean that here is a church which does not give up its magic lightly. 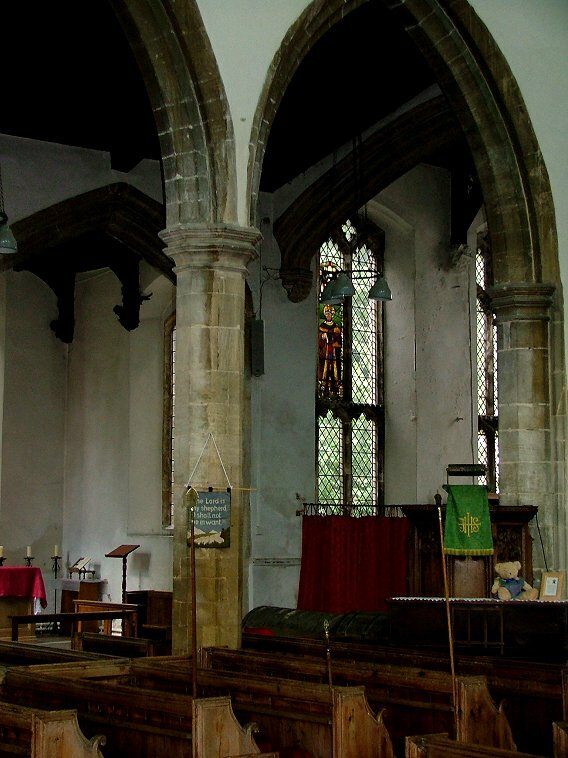 The slightly unusual layout also contributes to its mystery; both aisles extend into the chancel, and on the north side there is a large transeptual chapel. 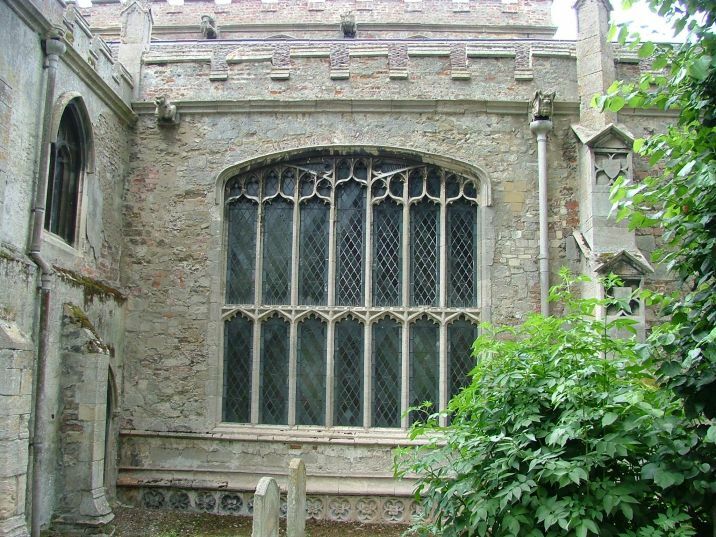 This chapel is one of the great treasures of Norfolk churches. 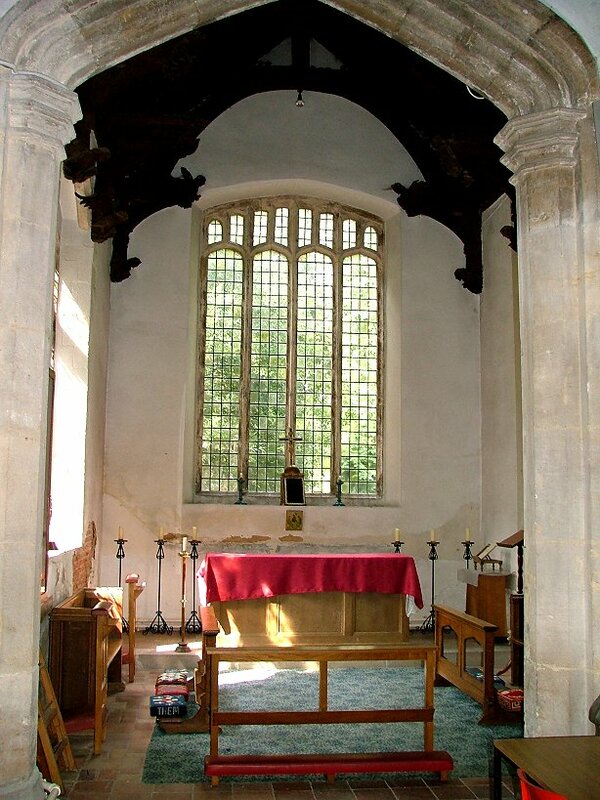 Above the simple fittings is an exquisite hammer-beam roof; it is tiny and perfect. 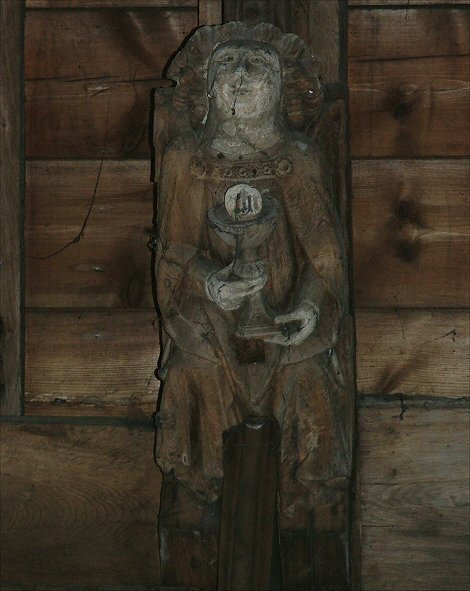 Stepping back into the aisles and the nave, you can see that the roofs here are also original, probably by the same hands as those at Emneth, and feature angels holding instruments of the passion. 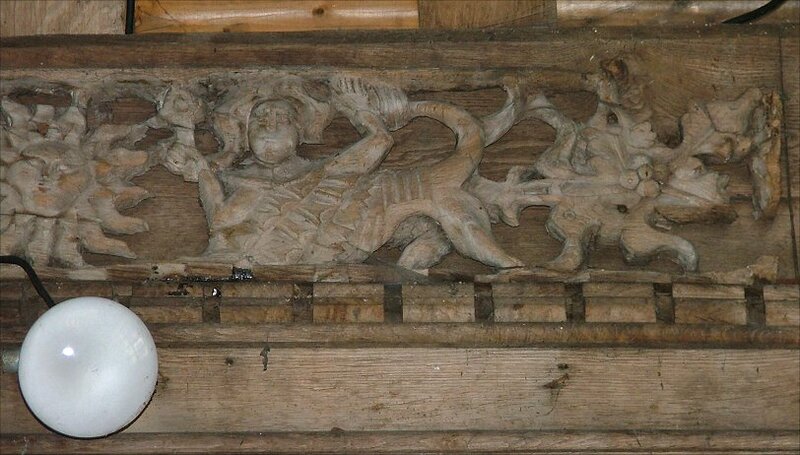 There is also a fascinating wall plate with carvings of what appear to be mythologcal beasts. 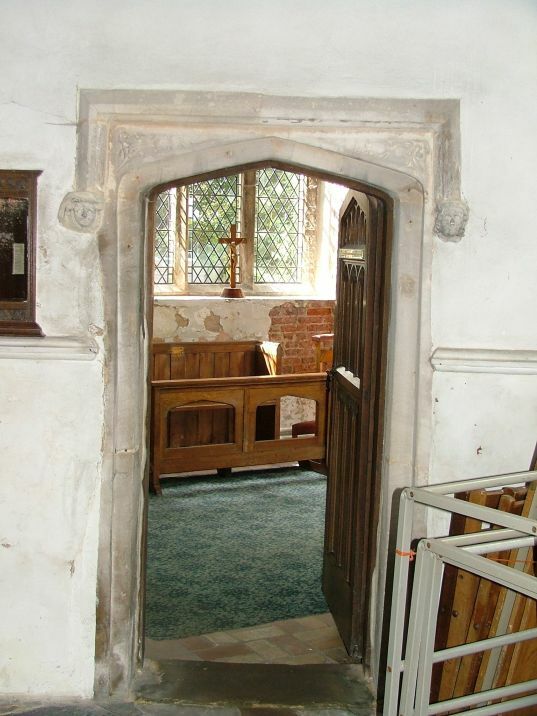 A 16th century doorway leads from the chapel into the north chancel aisle, which is now used as a vestry and to contain the organ. Here, there is a large 15th century figure set in glass. 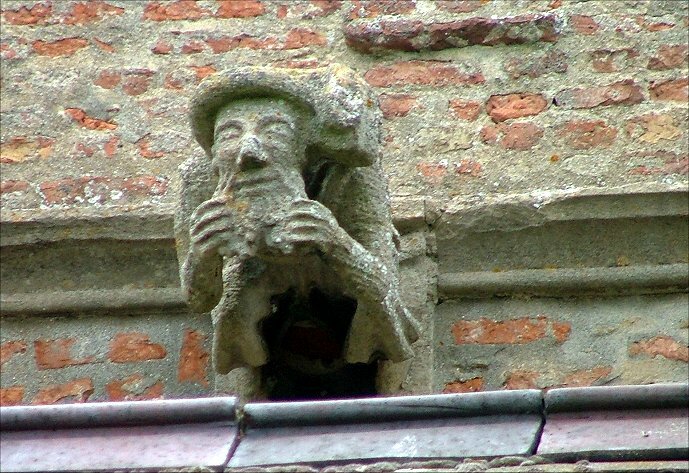 Local legend has it that it is 'one of the three wise men'. If the head is original then it may actually be a merchant donor, but I wondered if what appear to be leggings and gloves are, in fact, black skin. 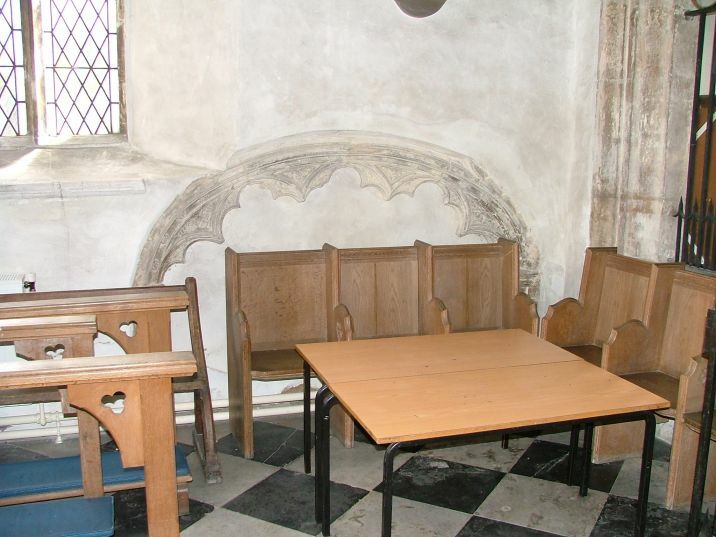 After the seemliness of the chapel and north chancel aisle, the south chancel aisle is a contrast, being full of tables and junk; but I thought this suited a building that is not Norfolk's tidiest church anyway, and at least it showed that the place was being used. If anything, the untidiness contributed to a continental feel. 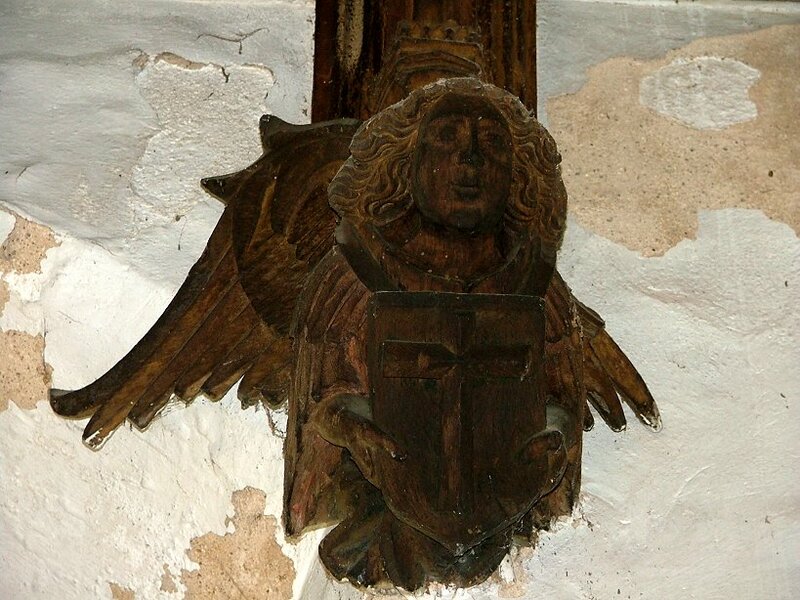 The roof here is particularly interesting, because here are the best of the angels and the wall plate. 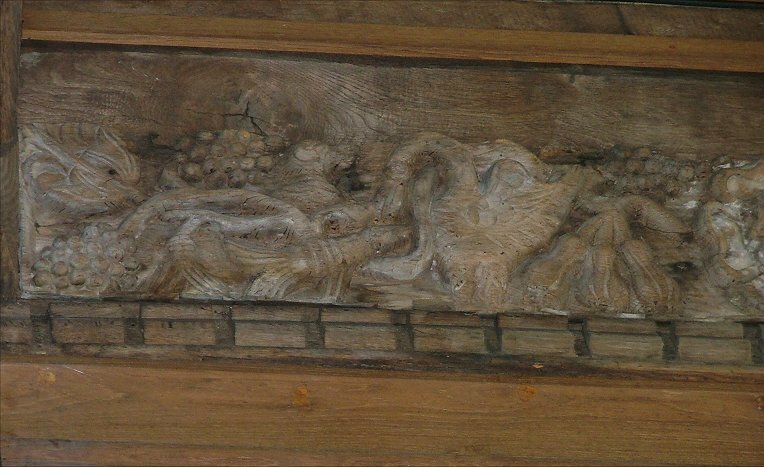 The roof in this aisle has been restored at some point, because there is a 17th century date carved near the entrance from the south porch. 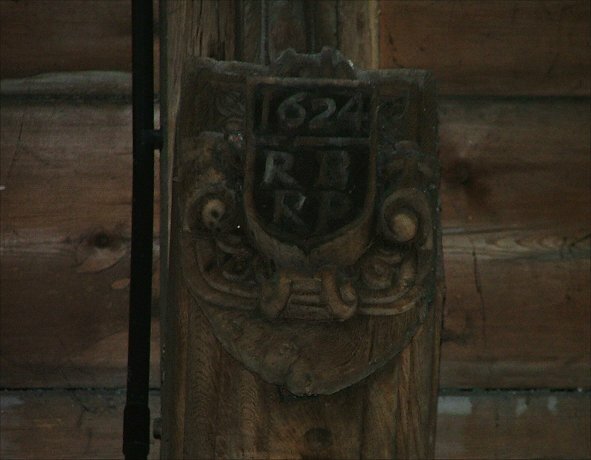 On a shield it says '1624 RB RP', presumably the initials of the two churchwardens. 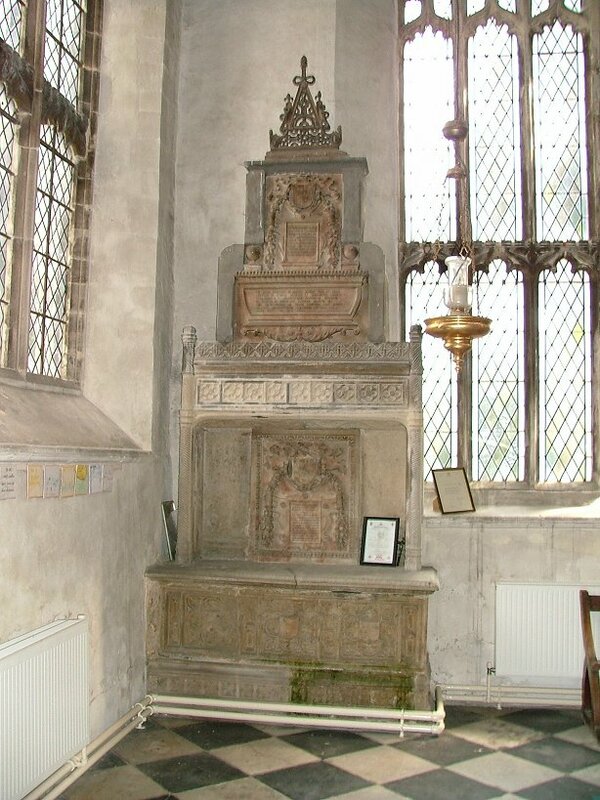 In the south aisle chapel there is a 16th century monument to Nicholas and Edmund de Beaupré (the latter as an addition to the former's tomb) and a tomb recess set back from the black and white tiled floor. 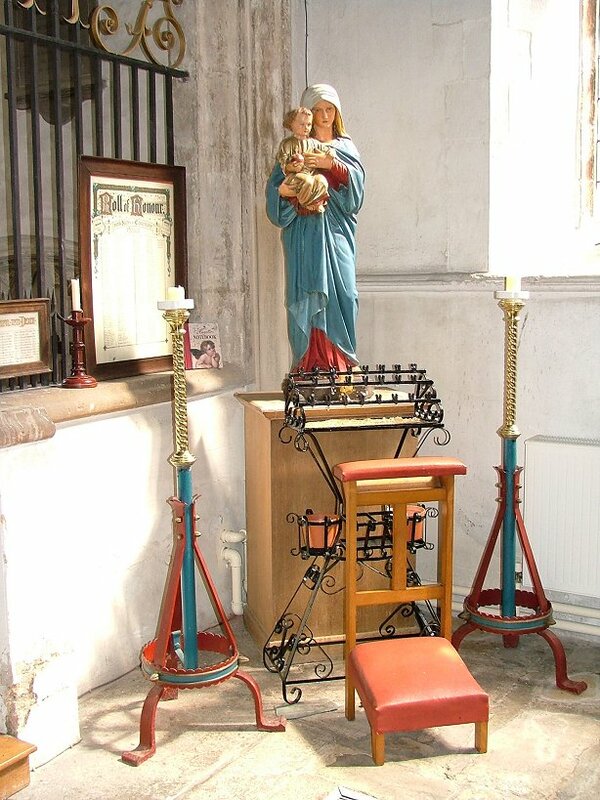 The chancel aisle is cut off from that of the nave by a wrought iron screen, suggesting that by the 18th century this chapel was used exclusively as the Beaupré mausoleum. 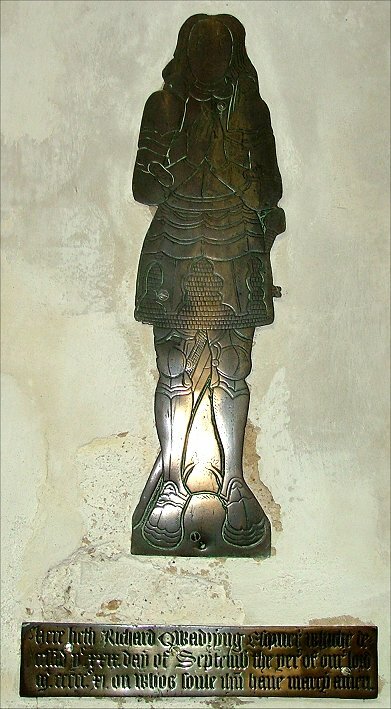 An earler local family is remembered by the brass to Richard Quadryng in the north aisle. 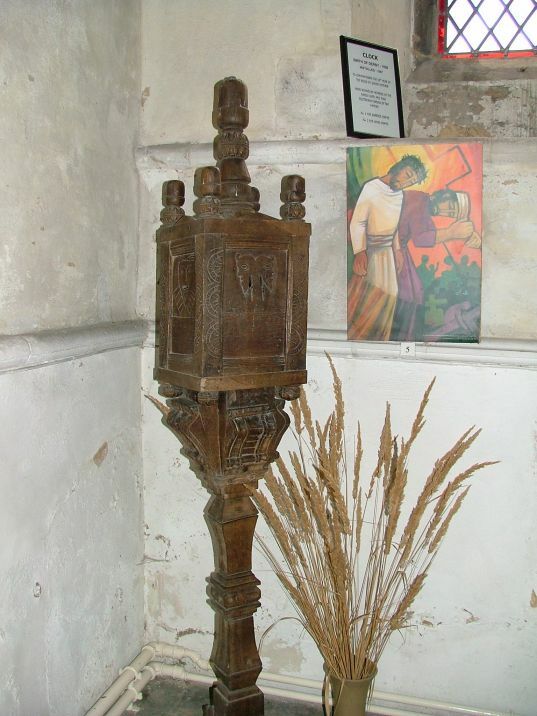 As is common around here, there is a medieval latten lectern. Perhaps Outwell's best kept secret is in the glass. 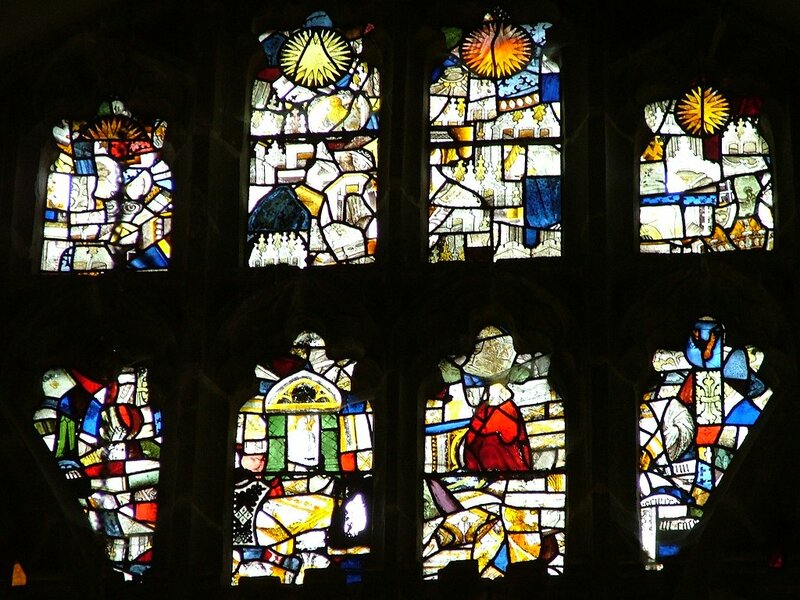 Above the hellish yellow of the east window there is a considerable collection of fragments of medieval glass. 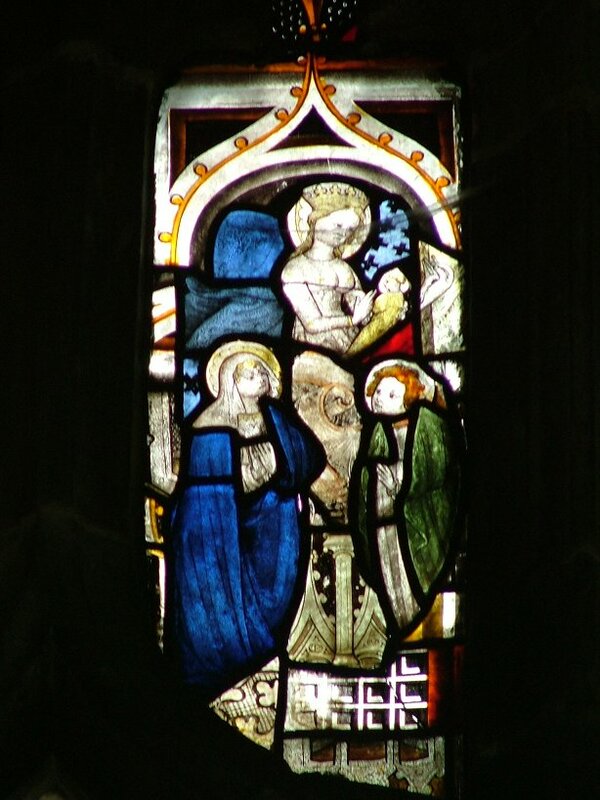 Beside it, in the south aisle chapel east window, there is what appears to be, at first sight, whole scenes in medieval glass; but when you look closely you see that it is mostly Victorian, an elaboration of medieval fragments into scenes.